God is a God of Love. God does not ask of us that we put our trust in His love merely because of words written on a page. He asks of us that we entrust ourselves instead to the ‘Word made flesh’ – this the expression of God who came amongst us as a living reality in Jesus Christ. Such is this love that God did not wait in hopeless expectation of our proving ourselves willing and deserving of His love. 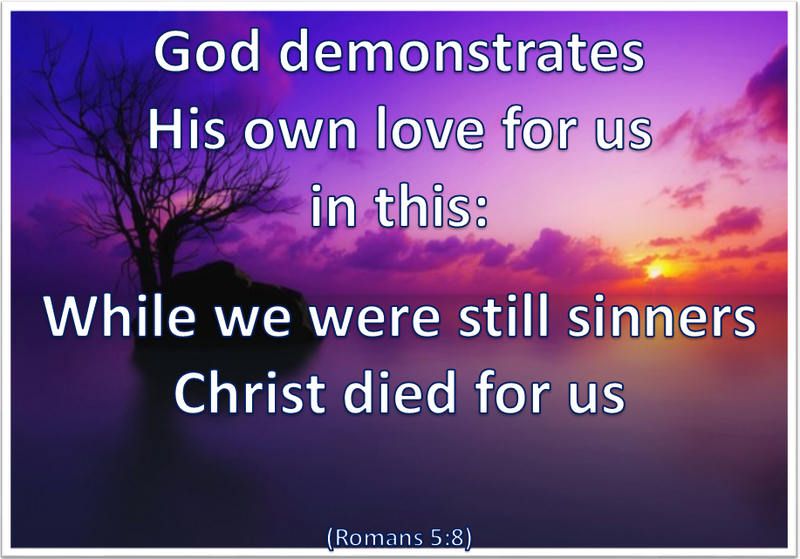 He came to us when we did not deserve it – in fact whilst we were caught up in our own sin. And He still does. Like the Good Shepherd in Jesus story He comes looking for us to call us back to Himself and to where we belong. And to make it possible for us to return freely He took our sin upon Himself and died in our place and on our behalf. Such was His longing for us that He would allow nothing to stand in the way of our being able to come home again – like the prodigal son. And now the only thing standing between God and us is … us. Take time to think about the reality of God’s love – and the Good Friday Cross that is around the corner. Father forgive me where I have taken Your love for granted and failed to recognise its depth and true significance. Thank You for loving me in Christ and now in the Holy Spirit who is always with me. Amen.